We as both geeks and consumers are used to Star Wars related collectibles, merchandising and even innovative artworks. But oddly enough, the bigger stuff (in a quite literal sense) inspired by this science fiction saga have eluded the annals of popular culture. We are of course talking about the real-time and planned architectural works that are influenced by the myriad of structures and designs dotting the vast scope of the franchise. So, without further ado, let us check out six such amazing buildings that epitomize the scientific yet fantastical side of the Star Wars. The magnificent fruit of collaboration between France and Abu Dhabi, the Louvre Abu Dhabi is a planned museum (of the same Louvre fame) that will boast of a humongous 260,000 sq ft (24,000 sq m) of spaceship-esque confined area. To be constructed on the Saadiyat Island Cultural District as a part of a bigger $27 billion tourist complex, the gargantuan structure is expected to be completed by the year of 2015. And in case you are wondering, which Star Wars structure the museum mimics – take a gander at the picture of the imposing Senate Building (or Senate Rotunda) in the planet of Coruscant in Galactic Core. Opened on the 16th of January, 2014, the new Lucasfilm HQ is veritable lesson in diaphanous elegance. The structure flaunts its multi-layered glass facades that allows induction of natural light while also having insulating capacity to reduce direct solar gain. The design is additionally tailored to the privacy of the occupants by virtue of its low-iron glass usage that fits over metallic-frit dot layer, thus endowing the building with a shielded ‘chromed’ appearance from outside. 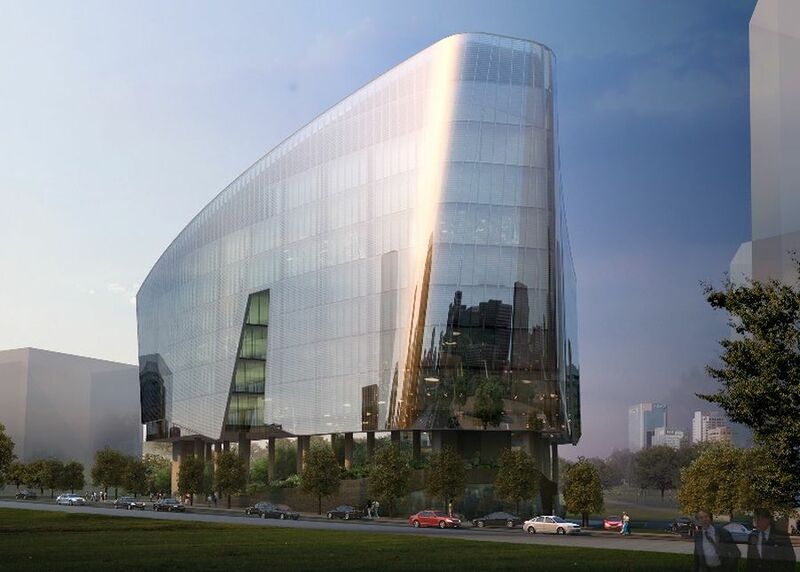 As for its Star Wars influence, we guess many of you have already identified the ‘Jawa Sandcrawler’ vibe. Moreover, the sci-fi essence continues on the inside with airlock-mimicking white and grey lobbies, along with bronze sculptures of the exalted Master Yoda. 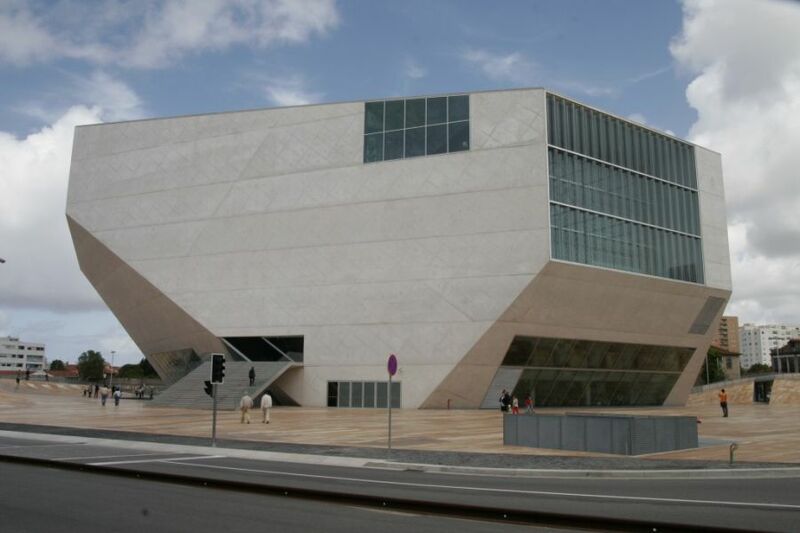 Inaugurated nine years ago in 2005, the Casa da Música has become an iconic landmark in the city of Porto, Portugal. Envisaged as a concert hall, the building comprises of two auditoriums with a combined capacity for more than 2,200 people, while its top section houses a restaurant with a capacity for 150 people. 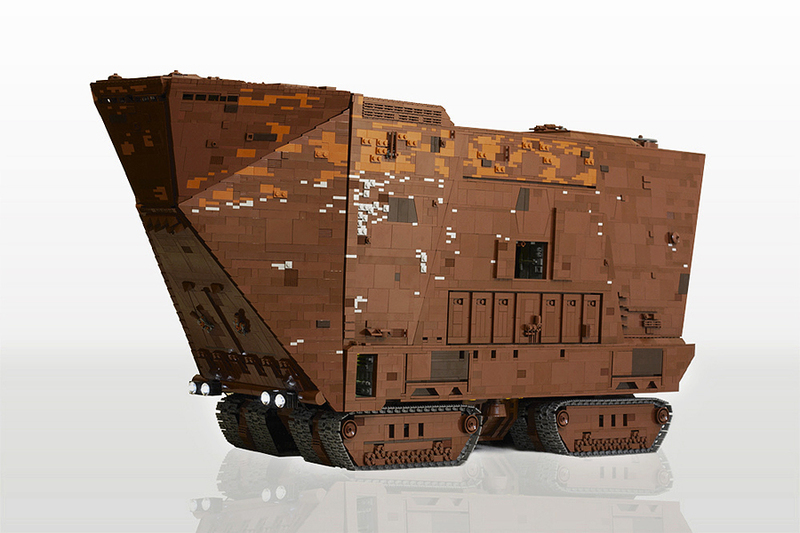 Now, Star Wars aficionados have presumably once again identified the Sandcrawler connection from the building’s angular yet extensive facades. 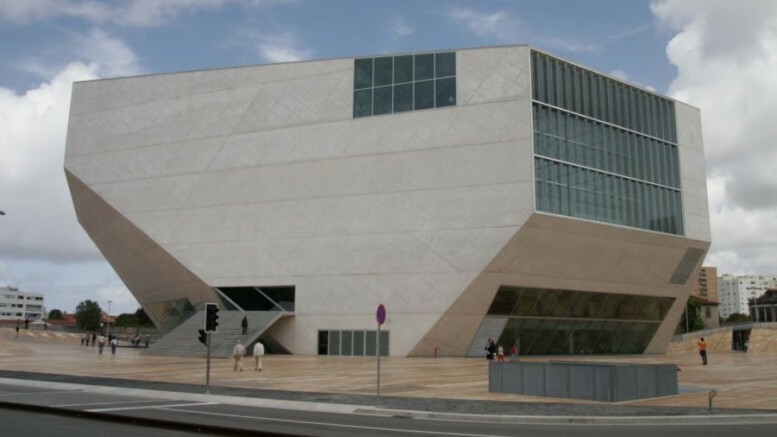 But even beyond that, the Casa da Música has been compared to other renowned architectural specimens like Frank Gehry-designed Guggenheim Museum and the Walt Disney Concert Hall.